Are you in need of a skilled commercial electrician? 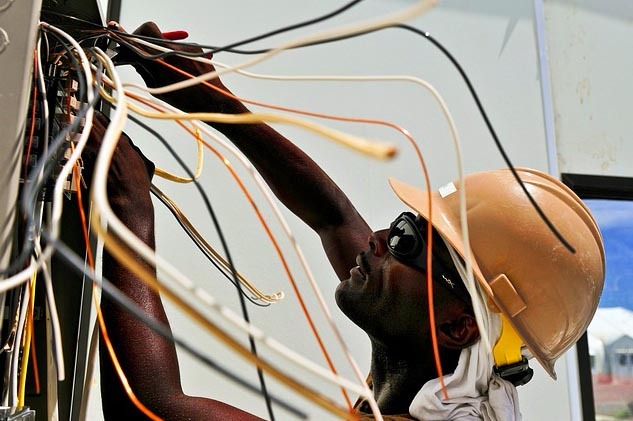 In Atlanta, there is only one electrical services company you need to call – McCall Enterprises. We have over two decades of electrical expertise on commercial projects throughout Atlanta. McCall Enterprises is the expert electrical solutions provider for all of your needs. Environmental safety standards, county fire codes, National Electrical Code, and OSHA safety standards are there for a reason. When you are upgrading or developing a new commercial building, you need experienced commercial electrical contractors who know electrical standards and safety guidelines. McCall Enterprises follows The National Electrical Code and other safety standards to the letter. Let our team of tackle your next project. Commercial repairs require skills and expertise. From circuit breaker or ceiling fan installations to electric service panel replacement, McCall Enterprises’ team of qualified electrical contractors will get the job done right. They’ll start by diagnosing the problem, and then repair the problem quickly and efficiently. We also tackle upgrades in the same way. We analyze the current wiring system then provide a plan for completing the upgrade. Upgrades are completed on time and within budget. Thousands of businesses in and around Atlanta have trusted us with their electrical repairs, installations, and upgrades. We dispatch individual electricians and teams of contractors every day. When you need a commercial electrician in Atlanta fast, we have the experience to fulfill all of your project needs. Put us to work for you today.